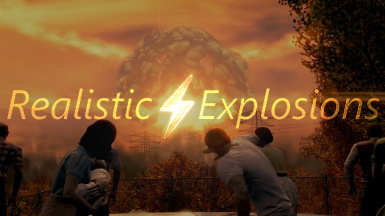 This mod aims to improve the overall sounds of most explosives in the game. - Replaced sounds for Frag Grenades at close range. These come without echo's for those who are using Reverb & Ambiance. - Tweaked Volume of Frag Grenades at close range. You should now be able to hear the rest of the game slightly better when Michael Bay is at the scene. - Replaced a sound for Mini-Nukes at long range because it sounded to weak. - Frag & Mine sounds at close range are now less loud. - Frag Grenades now sound less loud. - Added distant sounds for Mini Nukes. - Replaced 1 sound for molotovs because it sounded like a breaking window.